The Czech Republic was not blessed with just one fairy-tale city, but two! Českŷ Krumlov may be far smaller than Prague but it’s a huge hit with travellers and it’s easy to see why. The River Vltava weaves majestically through the tiny town, cutting it into two parts, each with its own distinct appeal. Adorning the town’s hillside is a remarkable medieval castle with a rococo garden. 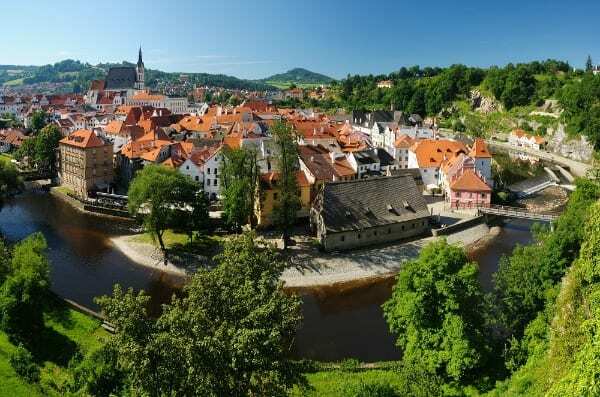 Českŷ Krumlov can be reached on a direct train from Prague in just under 2 and a half hours. Isla Cíes National Park, off the west coast of Galicia, is one of Spain’s best-kept secrets. Blessed with what the Guardian has called one of the world’s most stunning beaches, the island’s beauty can be attributed to its spectacular contrasts: The white sands and turquoise waters on the Spain-facing side of the island answer the rugged coastline and crashing waves of the Atlantic side. From Santiago de Compostela, it’s a one and a half hour train ride to the port town of Vigo. From Vigo, a 45-minute boat journey carries you on to the island. Épernay is looked upon as the capital of the Champagne-making region, and as the train rolls through the region, a patchwork of vineyards and rolling hills welcome you to this iconic stretch of France. In autumn look out the window to spot the farmers harvesting grapes by hand. Épernay’s main attraction is the handsome Avenue de Champagne, lined with prestigious champagne houses such as Mercier, Moët & Chandon, and Pol Roger. From Paris Est station it’s just one hour and 15 minutes to Épernay on regional TER trains. Figueres is a charming coastal town in Spain, close to the French border. 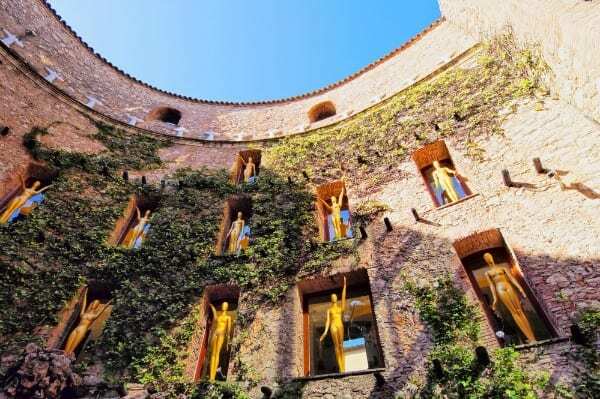 This Catalan burgh is the birthplace of Salvador DalÍ and his final masterpiece, The DalÍ Theatre-Museum – which he built and then donated to his hometown. Combine your trip with a visit to one of the pretty beaches on the Costa Brava coastline. Together, these form the perfect day trip from the bustle of Barcelona. From Barcelona Sant station, it’s just under an hour to Figueres. Haarlem offers an easy escape from the bustle of Amsterdam – a 15-minute train ride from track one at Amsterdam Central, and yet a world away. The Grote Markt square, with its Sunday market, its lineup of restaurants and bars, and its towering whitewashed church cathedral, is the centre of the action. Vijfhoek, though, is Haarlem’s crown jewel. A tightly wound warren of tiny streets and creaky church steeples dripping over with ivy-covered charm, you’ll want to while away endless hours at one of Vijfhoek’s neighbourhood pubs. Lecce is the main city of Salento, a stunning sea-kissed area at the very southeastern corner of Italy. The city’s sandstone architectural wonders shine with an otherworldly brightness under the summer sun, then come alive at night with the city’s thriving nightlife. Check out the Santa Croce basilica, a masterpiece of baroque architecture. If you have time to go farther into Salento, hop a train to Otranto, a port city where time seems to have stopped somewhere in the 12th century. Lecce can be reached in one and a half hours from Bari on a direct regional train. Mostar is the capital of the Herzegovina region of Bosnia Herzegovina. The city’s main focal point is Stari Most (Old Bridge) – the 16th century Ottoman bridge that arches over the sapphire waters of the river Neretva. Within the city are a number of mosques well worth visiting. Head just north of the bridge to visit the oldest and most sacred, Karadoz-Bey Mosque. Mostar can be reached by direct train from Sarajevo in two and a half hours – savour the picturesque views along the way. 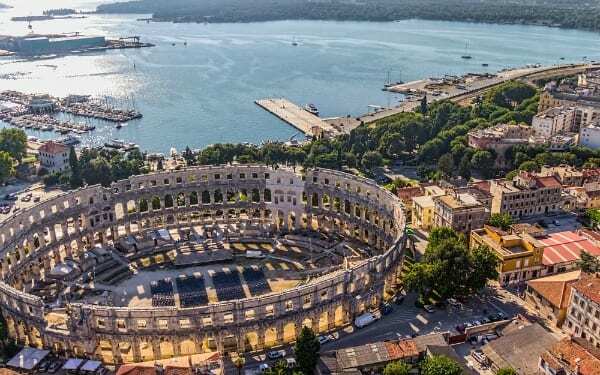 When you find yourself in Croatia, don’t miss a chance to visit Pula, the southern jewel of the Istrian Peninsula. Gracing the city’s centre is one of the largest surviving Roman amphitheatres – in summer months be sure to catch an open-air performance. The city’s pretty coastline is also a treasure, and ideal for a spot of relaxing after a long day of travelling. Pula can be reached by direct train from Ljubljana, Slovenia in about four and a half hours. Sighișoara is a tiny citadel buried deep within Romania’s historic region, Transylvania. Explore the Medieval features of this historic centre and delve into the town’s intriguing past. Sighișoara was the birthplace of Vlad Ţepeş also known as “Vlad the Impaler” – the man believed to have inspired Bram Stoker’s character, Count Dracula. The scenic train ride from Brașov to Sighișoara takes just under three hours. Are you a travel writer/blogger and want to explore these cities yourself? If you’d like to travel with a complimentary Eurail pass and share your travel stories with your readers, you can apply for a Eurail pass as part of our special TBEX promotion. Read the details of what the passes cover and then apply for your complimentary Eurail pass here (you can apply for up to four passes, so you can take your family with you). Author bio: This post was written by Charlotte Del Signore for Eurail. Eurail was launched in 1959 with the goal of convincing travelers that using a rail pass is the best way to discover the continent. They offer a range of European rail passes based on the countries you want to visit and how many train travel days you need.